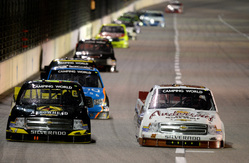 The End Is Near…The NASCAR Camping World Truck Series (NCWTS) heads back to the state where the season began to close out 2014 at Homestead-Miami Speedway. 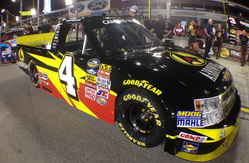 Ben Kennedy has one previous start at the Florida facility, making his debut at the track in 2013. Kennedy experienced an engine failure 45 laps shy of the finish line, relegating him to a 30th-place finish. Historic Event…When Kennedy takes the checkered flag at Homestead-Miami Speedway, he will be the first descendant of NASCAR’s founding family to complete a season in one of the sport’s top-three series. Kennedy can be proud of what he’s accomplished in his first full season in the NCWTS, as he comes into the final race of the year sitting eighth in the NCWTS Driver Point Standings and has led the Sunoco Rookie of the Year points since the second race of the year. The 22-year-old has earned one top five and seven top 10s in 21 races, earning a best finish of third at Martinsville Speedway in the spring. Miami Heat…Heater.com will once again be aboard the No. 31 Chevrolet Silverado. Heater.com is a world-leading heating product online retailer. The site features a wide variety of indoor and outdoor heating products to meet everyone’s needs. Heater.com gives consumers key information in the form of pictures, text and video allowing them to make the most informed buying decision. Heater.com is the “One Stop Shop for ALL Things Heating!” For more information, visit the company’s web site at www.heater.com. Rock The Vote…Voting for the 2014 NCWTS Most Popular Driver is open and Kennedy needs your help. Visit www.VoteForBenKennedy.com every day from now until November 14. Kennedy took home the NASCAR K&N Pro Series East Most Popular Driver award last season. Watch and Listen…The Ford EcoBoost 200 can be seen live on Friday, November 14 at 7:30 p.m. EST on FOX Sports 1. The event can also be heard live on MRN Radio as well as SiriusXM Satellite Radio, channel 90. Previous Race Recap…Kennedy’s No. 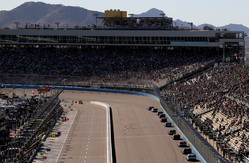 31 Chevrolet Silverado was among the class of the field at Phoenix International Raceway, earning a top-five starting position and running third in the early portion of the Lucas Oil 150 following a delayed start due to power loss. However, a scoring issue on the lap 111 restart cost Kennedy precious track position, which ultimately could not be overcome when the 150-lap event was cut short as a result of a second power outage.